Here you can find IELTS Essay samples of Band 8, written by students and graded by an IELTS teacher. The topic of each essay appears when you hold the mouse over the link. Every essay is checked, marked, has comments and suggestions. Hold the mouse over to see suggested corrections. The teacher’s summary is at the bottom of each essay. Note: the essays are checked by an IELTS teacher, not an IELTS examiner or examiner trainer.All the bands are approximate. Many test takers are unsure what is wrong with their essay, why they keep scoring Band 6.5 and how to take their writing to Band 8 level. Is that how you feel, too? Keep reading then, because we are just about to analyse a Band 6.5 essay and show you what to change in it, to get a Band 8 score in IELTS. Colours show elements relating to each criterion that affect the Band Score of this sample IELTS essay. Hold mouse over highlighted words (or tap on mobile) to see the comments, suggestions and corrections. IELTS Essay Topic: Some say you should always marry for love; others say that in an uncertain world it is wiser to marry for money. Discuss both points of view and give your own opinion. Nowadays, money is one of the most significant materials in our lives. To many people, it is appropriate to marry for money rather than love. However, I believe that both love and money should be bouncetogether in any marriages. Certainly, money is an important part in our lives [TS]. It is hard for any persons to accept a partner which* does not have money or at least a job to take care of future family. Hence, said “marry for money” also has its right in some extent. However, love should be the root of any marriages [TS]. Firstly, it is because love is such a glue to connect two persons which have their own lives, become one (NC). So, they can share each other’s the sadness, happiness to overcome any difficulties in daily lives. Moreover, love makes people growing up because they do not only have responsibility to themselves, but also to their partners as well. That is why marrying with love is always encouraged. In my opinion, I think that both love and money is both necessary [TS]. Marriage relying on money would be rapidly disintegrated when unfortunately the money is run out. In contrary*, marriage relying on love would sometimes come to end when they could not earn money to carry out family (NC), such as paying bills, buying food, etc. Therefore, love and money should stand together in marriage even though their contribution could be unbalanced (NC). As we have seen, marriage without either money or love would come to an unhappy ending. So I believe that they both have their own contribution to a merry family. Approximate score for Task Response: Band 7. Approximate score for Coherence and Cohesion: Band 7.
are not always successful (see corrections above). Probably not quite good enough for a 7. Approximate score for Lexical Resource: Band 6 or 6.5. Nowadays, money is one of the most significant materials in our lives. To many people, it is appropriate to marry for money rather than love. However, I believe that both love and money should be bounce together in any marriages. However, love should be the root of any marriages. Firstly, it is because love is such a glue to connect two persons which have their own lives, become one. So, they can share each other’s the sadness, happiness to overcome any difficulties in daily lives. Moreover, love makes people growing up because they do not only have responsibility to themselves, but also to their partners as well. That is why marrying with love is always encouraged. Approximate score for Grammatical Range and Accuracy: Band 6 or 6.5. Nowadays, money is one of the most significant materials in our lives. To many people, it is appropriate to marry for money rather than love. However, I believe that both love and money should be combined in any marriage. However, love should be the root of any marriage. Firstly, it is because love is such a strong bond between two persons who have their own lives, and become one. So, they can share each other’s sadness, happiness to overcome any difficulties in their daily lives. Moreover, love makes people grow up because they do not only have responsibility to themselves, but also to their partners as well. That is why marrying for love is always encouraged. As we have seen, marriage without either money or love would come to an unhappy end. So I believe that they both make their own contribution to a merry family. To turn the Band 7 sample essay into a Band 8 one would require further improvement in range and accuracy of grammar, greater clarity and better connection of ideas, and a wider range of appropriate, higher level vocabulary. To summarise, marriage without either money or love could come to an unfortunate end. For that reason, I would claim that they both make their own, vital contribution to the creation of a happy family. Great job you are doing, Admin! Thank you for providing such a website for us to improve our English level! I hope one day I can work out excellent essays banded 8.
i am new here,but i feel like in heaven.there are lots of usefull samples and tips.its worth more than gold. These examples seem to be of a great help to the students. Good job keep it up. well done! i started to write like band 8! i loved this site very much and from this site i get many information.one Q to all who are very much close with IELTS then proved me guide line ok.
It’s really wonderful piece of writing. I’m new at this site but certainly going to be regular visitor. I am got to get at least 7 in each of 4 bands. So, no way but to stick to this helpful blog with plenty of resources. Can anyone tell me how to have my essay checked by IELTS teachers ? I’ve been trying to find the instructions but till now I don’t find anything . Can you provide some band 9 essays? Please, I will be very thankful to you for this. 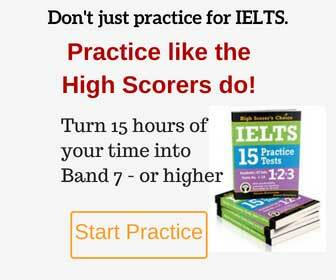 Sure – there are lots of model IELTS writing answers here, have a look. wonderful job admin. Helps a lot in understanding the mistakes. Hi Timea, thanks for asking and respecting our copyright rights – I will get in touch with you via email regarding this. It is great having such nice people who care about others. thank you.